The location of Bodrum garden Cottage means the cottage is very quiet and away from any hussle and bustle of Bitez beach. It is the perfect location for those wanting to 'get away from it all'. The cottage is not overlooked and stands within its own walled garden which makes the cottage very private. There is a good local bus (Dolmus) service from Bitez to Bodrum, and then from Bodrum center you can easily find other buses to surrounding villages on the Bodrum penninsula, destinations are clearly displayed on the front of each mini bus. The Bodrum Peninsula is a region of immense variety, combining ancient and modern with simplicity and sophistication. The area still has miles of unspoilt coastline, carved by dozens of coves and inlets dotted with small resort towns. A few miles inland you can still discover small pockets of the rural community where a more traditional way of life continues untouched by tourism. Aquapro Diving Centre- Located in right in Bitez, AquaPro offers Scuba Diver, Open Water Diver certification and all PADI scuba diving courses up to Divemaster, as well as daily diving tours and packages. Aura Yacht Charter & Yacht Management - Charter a yacht for a week and experience the beauty of the Gulf of Gokova. Bitez Beach - Useful Information about the Bitez Area, shopping, exchange rates, restaurants etc. Catamaran Sailing - Experience the rush sailing a catamaran with CoolCatz! A truly unforgettable experience that's fun for all. Siesta Daily Boat Cruises - Not your average daily boat trip, the Siesta prides itself on making your day onboard exceptional! 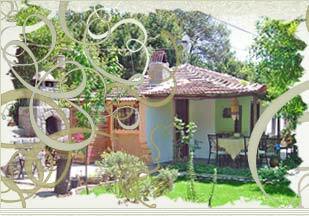 One of the best hidden gems of Bitez, Bodrum Garden Cottage is an ideal sanctuary. Here's a Google Earth placemark.